Martin Brower is known in providing an end-to-end supply chain management solutions for quick service restaurants. In the beginning of 1956, the company helped McDonald’s to expand their local burger business to a worldwide institution by providing a distribution services system to all McDonalds stores worldwide. 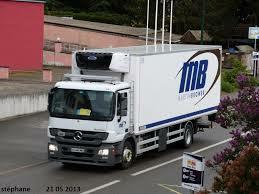 Martin Brower is considered as the leading logistics service provider for restaurants globally. In 1997, the company became a subsidiary of Reyes Holdings, LLC, which has more than 14,000 employees and more than 100 distribution centers globally. In 2012, Martin Brower acquired Keystone Foods distribution business which helped them served at McDonald’s growing number of stores. Martin Brower has many distribution centers located in the United States, Canada, Australia, France, Costa Rica, Great Britain, New Zealand, Puerto Rico, Panama, Quatar, Singapore, United Arab Emirates and South Korea. As part of the company’s community service, they support the Ronald McDonald House Charities wherein they provide temporary housing to the families of hospitalized children. They also provide jobs and opportunities for people who are looking for challenges. They provide extensive training in driving as the company believes that safety on the roads leads to a safer community. Martin Brower has more than 60 distribution centers in 18 countries worldwide that helped their customers reduce operating costs, delivery times and overall carbon footprint. In 1934, Martin Brower was founded under the name Brower Paper Company. The company acquired the National Paper Napkin Manufacturing Company in 1956. In the same year, Ray Kroc personally selected Martin Brower to the their paper products supplier for his first restaurant in Illinois. In 1964, the company omitted the word “Paper” from their brand name and re-named it The Martin Brower Company. In 1972, Martin Brower opened their first distribution facility in Canada that serves 90 McDonald’s restaurants. In 1982, they operated in Brazil under the name Brapelco that served only four restaurants. In 1998, Reyes Holdings acquired Martin Brower. In 2003, Martin Brower Brazil Food Service was created in Sao Paolo. Brazil. In 2006, Martin Brower business expanded in the US with additional customers from North and South Dakota, Wisconsin, Montana and Nebraska. They also built a new distribution facility in Fridley, Minnesota on the same year. In 2009, Martin Brower welcomed Metroplex Holdings Inc. in New York and Ireland to their business. In the same year, McDonald’s awarded Martin Brower as The Supplier of the Year Award for demonstrating system leadership and helping McDonald’s improve their brand. In 2010, Martin Brower were shortlisted for 3 awards from the Chartered Institute of Logistics in Ireland. The company was named Supplier of the Year in Brazil by McDonald’s. In 2011, Martin Brower was named distributor for Bob’s 800 restaurants in Brazil and presented by Bob’s with Excellence in Performance Award for a smooth transition of their business. In the same year, Martin Brower was awarded for Excellence in Environmental Improvement, Chartered Institute for Logistics and Transport UK. The company also develops the first all-electric high capacity vehicle in France in 2011. Martin Brower was the first French company in the warehouse and distribution industry to achieve quadruple certification, namely ISO 9001, ISO 14001, ISO 22000, and OHSAS 18001. In 2012, the company acquired distribution operations in the U.S., France, New Zealand, Australia, UAE, Kuwait, Qatar South Korean Bahrain, South Korea and Malaysia. As a warehouse person, you will pick and select products safely, wrap and load trailers using powered equipments. You should meet or exceed productivity standards. As a Class A CDL Truck Driver, you will be responsible in driving safely and correctly all deliver food products to assigned locations. You must be able to lift and move up to 50 lbs. of merchandise and deliver in a multitude of methods. As the Operation Supervisor, you will lead and support the transportation and warehouse operations at the Distribution Center. You will be responsible in supporting the achievement of the service and the financial goals of the company. You will also be responsible in planning, scheduling of manpower and equipment of the hourly workforce.